Costructed from solid teak and lovely grained teak veneer. The trio of tables, date to the 1960s/70s. 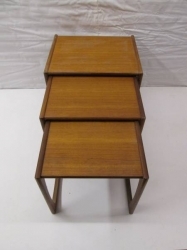 The set consists of 3 tables which nest within each other. 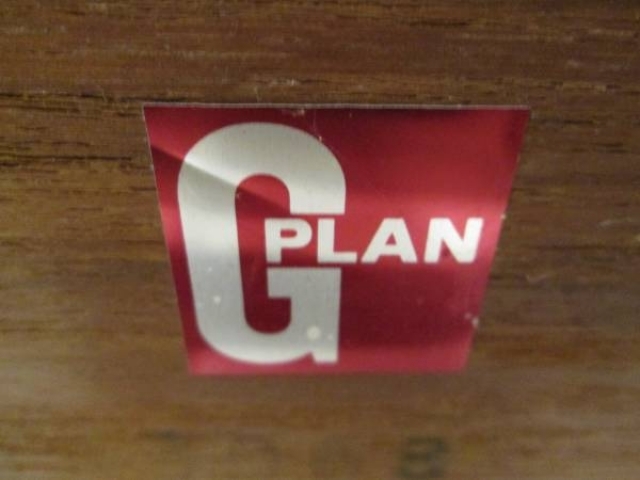 The original G-Plan makers label is still attached to the base of the smallest table (picture 3). The stylish set of tables will be newly polished for you, using the finest shellac, they will be as new again. 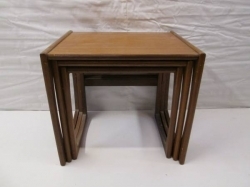 Dimensions for largest table - height 49 cms, width 53.5 cms, depth 43.5 cms.